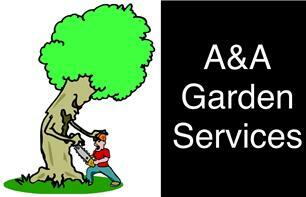 A&A Garden and Tree Services - Garden Services, Tree Surgeon based in South Petherton, Somerset. A&A Garden Service is a small business based in South Petherton, Somerset. We offer services of tree topping, pruning, removing trees, hedge cutting and removing. All other gardening work undertaken also Power washing service. Also cover garden rubbish clearance and also garage/shed clearance etc. Also season hardwood logs for sale. Free Delivery within 10 miles of South Petherton. Martock, Chard, Yeovil, Crewkerne, South Petherton, Somerset, Within 30 miles.